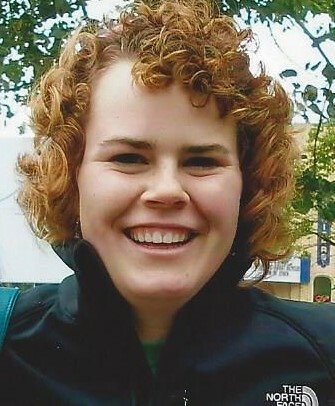 Sara Jean Vandevenne, 28 years old, passed away on Monday, March 25, 2019. She was born in Corydon, Iowa, on April 20, 1990. She was the only child of Paul and Tami Vandevenne who dearly loved her. She grew up in Chariton and attended Chariton schools. She was a good student and especially enjoyed anything that had to do with history. She attended Indian Hills Community College and Bozeman Bible College in Montana. She liked adventure so she joined a group that traveled to Alaska one summer during her college years to work at a youth camp. She enjoyed hiking with friends in the mountains of Montana. Sara was an avid reader. As a youngster, she liked target shooting with her father and taking walks with her dog. Her favorite place to go was “to the farm” of her maternal grandparents. There she could enjoy all the animals, especially the baby lambs and newborn kittens. Another favorite thing to do was to ride with her father in his semi. Six days after her thirteenth birthday, her father died which left a huge void in her life. She never really did get over the loss of him. She and her mother had to start a new life without him. She worked in restaurants as a baker, assistant manager, and a waitress, as a pharmacy tech, and lastly, as a housekeeper at the Lucas County Hospital. She will be missed by her coworkers and friends. She was preceded in death by her father, Paul Vandevenne, her paternal grandparents, Tom and Jean Vandevenne and her maternal grandparents, Everett and Viola Nichols. Survivors are her mother, Tami Vandevenne, and many aunts, uncles, and cousins. Her sudden death leaves her loved ones mourning a life that was taken away too soon. May she find rest and peace in the loving arms of our heavenly Father.